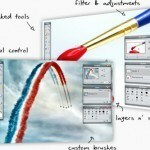 Pixlr is a free online, full-featured image editing and creation tool that makes you wonder what the catch is. In other words, how could something so good be free? Without adverts? And no registration required? Pixlr began in 2007 as the side project of a Swedish web developer named Ola Sevandersson (who presumably is the guy doing the narration on the site’s excellent tutorials). Last summer it got acquired by Autodesk (makers of AutoCad). 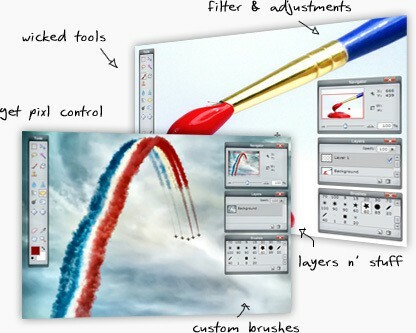 Ola has blogged that the AutoDesk acquisition will not change Pixlr – it’s still free, open and great. Let’s hope it stays that way. Before sending anyone to pay big bucks for image editing software such as Photoshop, I’d challenge them to use Pixlr until they found something it could not do that they needed done. For most of us, that day might never come. It’s that good.